It’s times like these when I wish I had the option to jump on a plane from New York and fly to Wisconsin. Sprecher Brewing Company, the Wisconsin Beef Council (WBC) and Keg-a-Que are having the third annual Wisconsin State Fair grilling competition, Grilling with Beer. This competition has my name written all over it. I love to grill! If you’re in Glendale, Wisconsin, this is a competition you won’t want to miss. The top eight recipes will be pitted against each other with the winner being decided by an expert panel of judges on the stage at State Fair’s Central Mall on August 9. The eight finalists will receive $10 toward purchase of beer and beef for the final cook-off. Second and third place winners will each receive one case of Sprecher beverages, two Sprecher tour passes, two tickets to Sprecher’s 25th Anniversary Bash, a $25 certificate for beef from the Wisconsin Beef Council, and a portable Keg-a-Que (Awesome!). The grand prize winner will receive six cases of Sprecher beverages, two Sprecher tour passes, 2 tickets to Sprecher’s 25th Anniversary Bash, a $200 certificate for beef from the Wisconsin Beef Council,and a portable Keg-a-Que (Awesome again!). All recipes must contain beef and Sprecher beer, and be cooked on a gas grill. Recipes must be received by July 26th. Finalists must be present to win the Wisconsin State Fair grill-off on August 9. 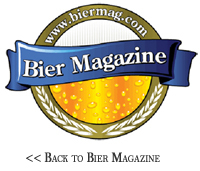 Visit the Sprecher Brewing Company website, www.sprecherbrewery.com, for eligibility requirements, entry form and complete details.